It had been hinted and rumored at for a while now, and it happened- it just was probably not what you all were expecting. After Dragon Quest Heroes, another PlayStation related Dragon Quest announcement was made, and… well, it’s interesting. 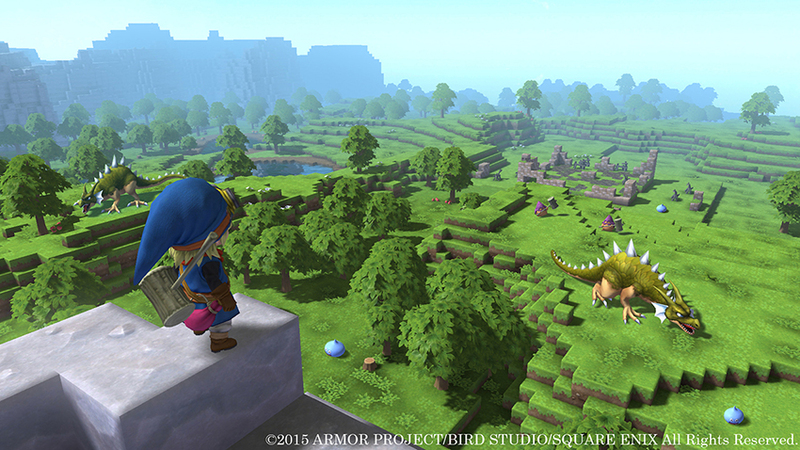 The game is called Dragon Quest Builders, and it will be coming to PS3, PS4, and PS Vita. It also appears to be almost entirely just like Minecraft. Actually, remove the almost entirely part. It’s Minecraft, plain and simple. It is so easy to mistake that screenshot that you see above as being from Minecraft. That said, the gameplay will integrate some RPG elements, which should differentiate it from Minecraft a little. Players will need to rebuild Alefgard using various blocks, as it has been destroyed by the Dragonlord. It sounds compelling enough. Right now, the game has no release date, either for Japan, or for the rest of the world. We will keep you posted.